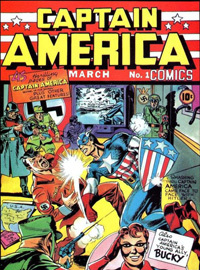 The cover of the first issue of Captain America shows the character and his side-kick Bucky fighting Nazis, with the Captain himself socking Adolf Hitler on the jaw. Looking at the illustration now, it’s easy to write it off as typical American wartime propaganda. But look closely at the issue date. Newsstand comics were routinely dated two or three months later than their actual publication date (so issues that lingered on the shelves unsold wouldn’t appear to be outdated). 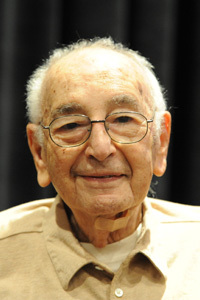 With a cover date of March 1941, that first issue of Captain America was likely created in late 1940 or early 1941. The U.S. entry into the Second World War was nearly a year in the future.